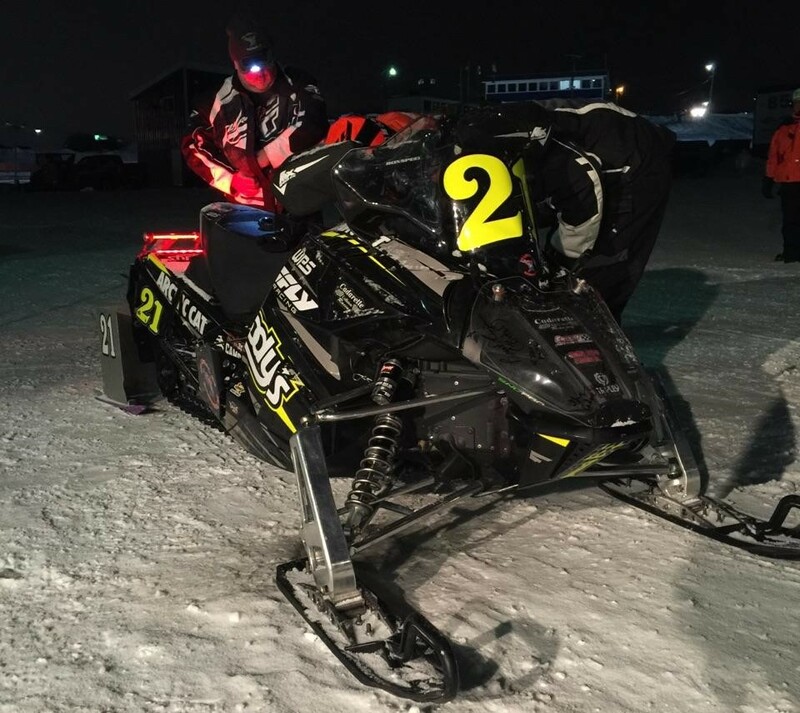 First Round of International 500 Snowmobile Race Qualifying was completed on Wednesday, February 1st as the Cadarette Collision Racing #21 driven by Troy DeWald set the mark to beat. The AuGres, Michigan veteran turned in a 40.002 = 89.998mph around the one-mile ice oval. Kyle Eckert in the #88 Eckert Racing Team machine was second quick at a 40.319 as Michael Haynes (Beard Motorsports), Bobby Menne (D.L. Racing) and six-time and defending #SooI500 winner, Gabe Bunke (Bunke Racing) completed the top five. 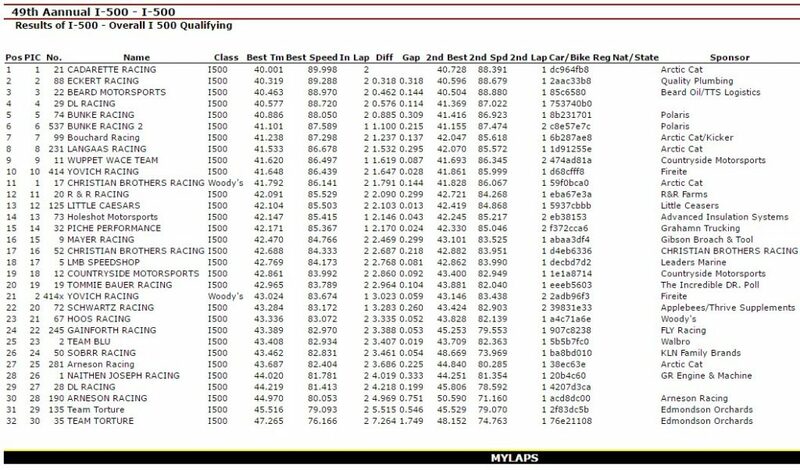 In addition, Woody’s Challenge First Round Qualifying was also completed as Kyle Eckert blistered the one-mile ice oval with the fastest lap overall of the evening. 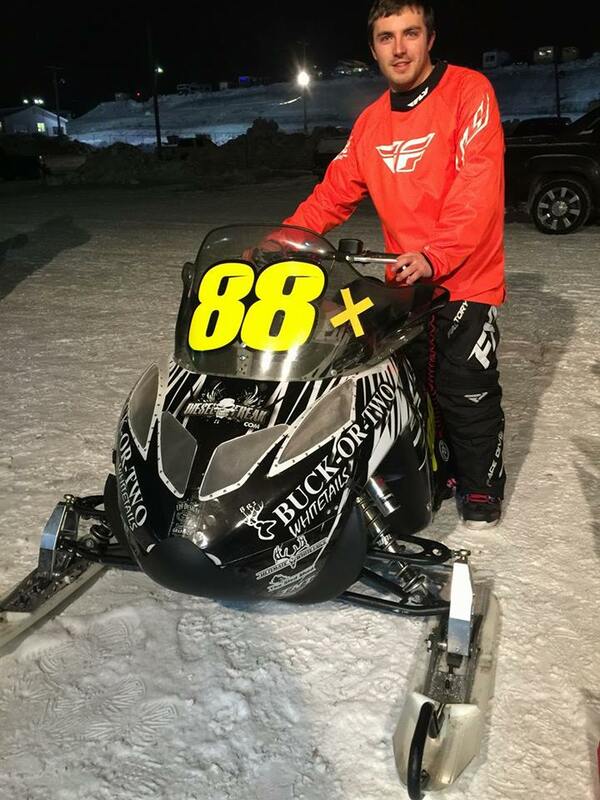 The Gaylord, Michigan rider went a blistering 39.617 = 90.776mph in his #88 Eckert Racing Team entry. Joey Burch (Beard Motorsports) was second quick as four-time and defending #SooI500 winner, Aaron Christensen (Bunke Racing) was third. Ross Erdman (Bouchard Racing Team) and Zach Herfindahl (Christian Brothers Racing Team). completed the top five.